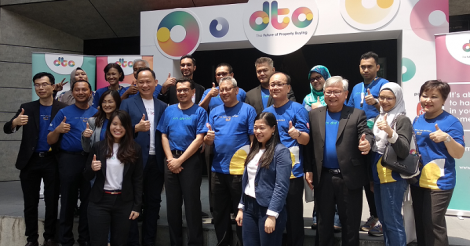 A SMALL Malaysian grocery chain with four outlets in the Klang Valley is planning a bold step by expanding into selected urban areas within South-East Asia, with Jakarta, Bangkok and Manila on its radar within the next three years. The husband-and-wife team behind Presto Grocer, chief executive officer Daniel Ruppert (pic above, left) and executive director Azrin Zuhdi (right) are betting that the experience they have picked up since launching their own e-commerce site in 2009 will help them execute across their identified markets with speed. “Our learnings, systems, local knowledge and efficiencies will be the assets that will enable a rollout to regional markets,” said Ruppert, a German. In this, the Presto founders reinforce what Catcha Group chairman Patrick Grove has consistently said is one of Malaysia’s strengths – that it is a great place to launch any e-commerce initiative as its geographic, demographic and multi-ethnic spread makes it ideal as a microcosm of South-East Asia. The fact that it has an e-commerce savvy population is the gravy on the pudding. Presto will face serious competition though, from well-funded e-grocery players such as Singapore-based RedMart which has raised US$29 million, to established global players such as Tesco which has an e-commerce service in three major urban centres in Malaysia. But Presto is undaunted and is banking on speed as a differentiator. “We believe in ‘the fast eating the slow versus the large eating the small’,” said Ruppert. That may seem like bravado but Ruppert argued that Presto doesn’t believe that any of the larger players have cracked the e-commerce grocery segment as yet, despite the deep pockets and established brands. “Likewise, a pure-play e-commerce grocery platform lacks a physical shopper experience. We believe that our size enables us to pivot relatively quickly, without necessarily cannibalising our own business,” he added. Ruppert and Azrin also believe their experience as hybrid grocers would prove to be a differentiator when they embark on their regional expansion. Former bankers plying their trade in London, the couple used to do all their grocery shopping online but that came to a halt when they returned to Kuala Lumpur 10 years ago. Realising that the market was not ready for an online grocery service, they started with physical stores in 2006 before launching their e-commerce service in 2009. “We believe moving aggressively into the e-commerce realm will enable us to capitalise on our warehousing technology, data-driven shopper experiences, and numerous other opportunities which ultimately benefit the consumer. “We see this strategy rolling out progressively but swiftly throughout the next 36 months,” said Ruppert, declining to reveal which country they will expand to first. Critical to user experience in any e-commerce set-up is fulfillment and in concentrated areas Presto will operate its own logistics, while relying on third party logistics providers for other areas until the volume justifies it bringing this service inhouse. Funding will come from venture capitalists with Presto looking at a Series A round. To help them in this quest, they have just appointed well known Internet entrepreneur and investor Bob Chua on their board. “We’re delighted to have him on board and look forward to embarking on this exciting journey together. We feel Chua’s experience in scaling high-tech data-driven organisations will be very valuable," said Ruppert. Chua is chief executive officer of startup Pulsate Sdn Bhd, which is a big date service provider. He is also a DNA Digerati50. Expressing his excitement on joining Presto, Chua (pic) said he feels it can be a disruptive force in the traditional grocery business. “The comparables in the United States and Europe have experienced tremendous growth on the back of disrupting a traditional model of grocery buying. “Asia poses a vast and immediate opportunity, especially as we invest in developing leading-edge technology around warehousing, shopper analytics, and an end-to-end e-commerce supply chain,” he added. But he also acknowledged that all this will involve heavy investment in technology, talent and infrastructure. Raising that Series A funding will be critical and Presto will be relying on Chua to cross this hurdle.